This our annual meeting. We will be voting to fill two board positions. 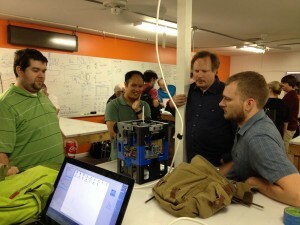 Find out what’s up at Tampa Hackerspace, pitch a project, and meet other members. If you have something for the agenda, please submit it to info@tampahackerspace.com no later than the Friday prior to the meeting. We operate under MIBS SRC3 as our rules of procedure ( http://goo.gl/pI7LM0). Agendas and minutes from previous meetings can be found at http://goo.gl/WjqzJy .